It took two days, 10 cars and lots of guidance from OffLeaseOnly sales associate Danny Jaramillo to find Maria LaMadrid the perfect car. But he did and his efforts paid off in something more valuable then money. LaMadrid posted a glowing OffLeaseOnly review about her used car buying experience, the sort of thing future customers search for when they are trying to decide where to shop. Savvy business owners realize the majority of informed customers search online for good reviews. So good reviews are the equivalent of gold! Logging positive OffLeaseOnly reviews online is part of something called “reputation management,” which tracks the way in which a company is talked about online. OffLeaseOnly Used Cars for Sale! Unhappy customers are usually quick to post negative reviews. But forward-thinking companies consciously solicit positive reviews to present a more balanced picture. Studies show that anywhere from 70 to 90 percent of online shoppers rely on online reviews to sift through vendor options. Off Lease Only is among those companies that have implemented a plan to monitor its online reputation and ensure customers post feedback. Positive OffLeaseOnly Reviews are of course greatly appreciated. Any Off Lease Only complaints or concerns go directly to the owner and team of customer experience professionals to remedy any issues. 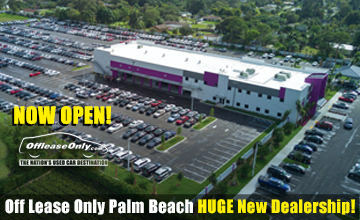 It’s great quality control now that Off Lease Only has grown to over 460 employees. LaMadrid was so happy with her car buying experience that she began spreading glowing OffLeaseOnly Reviews to friends, family and co-workers. She says the business where she works may eventually shop for company cars at Off Lease Only too. Jaramillo said it’s all about making the OffLeaseOnly customer’s experience a good one – whether they buy an OffLeaseOnly used car or not. And if the experience is good, OffLeaseOnly reviews will reflect as much. “You’ve got to listen to the customer and make sure they are happy,” Jaramillo said. 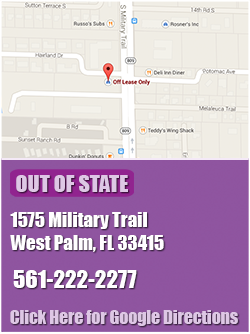 Off Lease Only’s website includes thousands of video testimonials from happy OffLeaseOnly customers. In addition, customer review sites on OffLeaseOnly Yelp Reviews, Google Reviews, Edmunds and DealerRater include thousands of accolades from happy OffLeaseOnly customers. CLICK HERE to visit OffLeaseOnly’s Reviews and Customer Testimonials Website, which aggregates OffLeaseOnly reviews from all the major sites. Off Lease Only recently received national recognition for its top notch customer service from the signature automotive review sites of DealerRater.com and Edmunds.com. Both presented Off Lease Only with the coveted awards based on the high number of 5-star reviews Off Lease Only receives nationally. LaMadrid said her car-buying experience was exceptional. She was delighted with the OffLeaseOnly used Chevrolet Equinox she purchased at OffLeaseOnly’s Miami car dealership. And she was equally pleased with Jaramillo’s incredible patience and understanding throughout the entire OffLeaseOnly car buying process. LaMadrid admits choosing an OffLeaseOnly used car was challenging: She test drove 10 cars over two days, and needed help whittling her final four used car choices down to one. What she loved most was that she got that help. 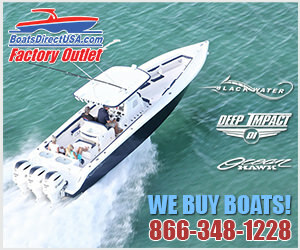 LaMadrid had gone to several other dealerships before landing at Off Lease Only. It was Jaramillo’s personal attention that sealed the deal. “He brought out all the used cars I liked and lined them up side by side,” LaMadrid recalled. She compared a used Jeep Compass, a used Mazda, a used Kia Sorento and a used Chevrolet Equinox side by side before test driving the Kia one more time and the Chevy, two more times. Eventually, she chose the used Chevy. “I must have driven the salesman crazy,” she laughed. 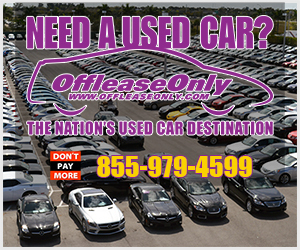 OffLeaseOnly used car salesman Wilfredo Novoa – Off Lease Only’s top seller for February 2015 – said soliciting feedback has become part of every contact he makes. 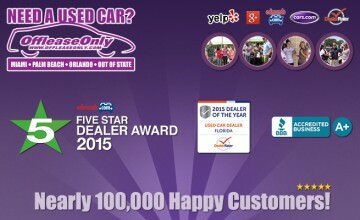 Mark and Eileen Fischer’s OffLeaseOnly used car business is the highest volume used car dealership in Florida. 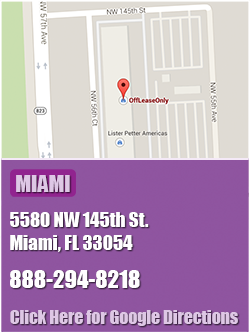 The Fischers operate OffLeaseOnly used car dealerships in Miami, Palm Beach, Lake Worth and Miami. 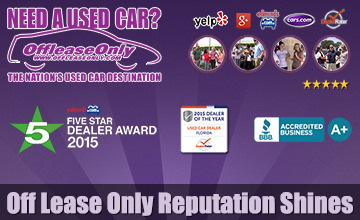 ← Previous Story OffLeaseOnly Used Car Prices, Save Thousands!